VISHAY Intertechnology, represented by Braemac , has announced a new series of miniaturised, multi-functioned SMD IR receiver modules that provide a variable supply voltage range from 2.7V to 5.5V. Devices in the new TSOP36xxx series combine a photo detector and preamplifier in a single, highly integrated package to enable the design of space-saving and reliable remote control systems. In addition to being specified for an unusually broad supply voltage range, TSOP36xxx receiver modules are capable of operating with short-burst transmission codes and data rates up to 4000 bit/s with seven standard carrier frequencies from 30kHz up to 56kHz. Integrated Automatic Gain Control (AGC) suppresses ambient light disturbances for reliable operation, and the new receiver modules' epoxy package doubles as an IR filter to further enhance immunity against ambient light. With metal shielding, devices in the TSOP36xxx series are also protected against electrical field disturbances. The IR modules also feature low power consumption, a low active output, and an internal band filter that allows PCM frequency operation. A demodulated output signal that can be decoded directly by a microprocessor makes these devices a good solution for multimedia applications. Each module measures 5.3mm by 7.2mm with a 2.35mm height profile. 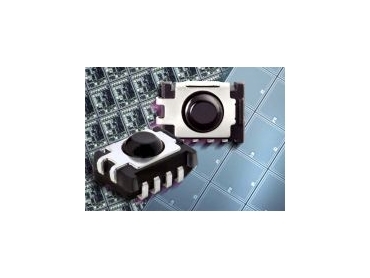 TSOP36xxx receiver modules are specified for an operating temperature range of -40°C to +90°C and are TTL and CMOS compatible.